We’d love your help. 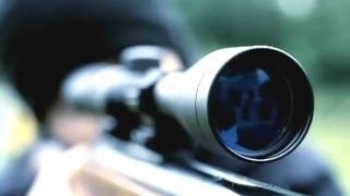 Let us know what’s wrong with this preview of The Target by David Baldacci. The President knows it's a perilous, high-risk assignment. If he gives the order, he has the opportunity to take down a global menace, once and for all. If the mission fails, he would face certain impeachment, and the threats against the nation would multiply. So the president turns to the one team that can pull off the impossible: Will Robie and his partner, Jessica Reel. The President knows it's a perilous, high-risk assignment. If he gives the order, he has the opportunity to take down a global menace, once and for all. If the mission fails, he would face certain impeachment, and the threats against the nation would multiply. So the president turns to the one team that can pull off the impossible: Will Robie and his partner, Jessica Reel. To ask other readers questions about The Target, please sign up. Will Robie/Jessica Reel – yet another trite plot peopled with highly unlikely characters with improbable skills envolved in fantacy acts of violence and complexity that could only exist on the written page. – my last Baldacci for a while. Dobby0390 I'm struggling to finish it. I agree; it will be a while before I pick up another Baldacci. Do I need to read the first two books or can i read this straight away ? I love David Baldacci's wonderfully captivating books, they are so polished, professionally written, imaginative yet realistic and very easy to follow, so I was looking forward to reading "The Target", the third in the fantastic and exciting Will Robie series. Blurb - The President knows it's a perilous, high-risk assignment. If he gives the order, he has the opportunity to take down a global menace, once and for all. If the mission fails, he would face certain impeachment, and the threats agains I love David Baldacci's wonderfully captivating books, they are so polished, professionally written, imaginative yet realistic and very easy to follow, so I was looking forward to reading "The Target", the third in the fantastic and exciting Will Robie series. Blurb - The President knows it's a perilous, high-risk assignment. If he gives the order, he has the opportunity to take down a global menace, once and for all. If the mission fails, he would face certain impeachment, and the threats against the nation would multiply. So the president turns to the one team that can pull off the impossible: Will Robie and his partner, Jessica Reel. I adore Will Robie and Jessica Reel, they are two of the most professional, disciplined and lethal assassins alive. They are the ones the government calls in when the utmost secrecy is required and are needed to infiltrate the most hostile of countries in the world and take out the most vicious and deadly world tyrants. I haven't read the first in the series but have read the second and loved how that even though this can be read happily as a standalone, this book follows on from the very tense and compelling previous story, allowing you to fully understand and empathise with their professional relationship. I love how they work so well together, literally reading each other's minds as if it was one and constantly looking out for each other's backs, often to their own detriment. If you've read the second book you'll understand why it's so important to follow this progression of friendship as they were both tested to the most ultimate of limits in an unimaginable way. The book started with a brilliantly intriguing and compelling introduction that had me bewildered as to where the story would lead. Earl Fontaine was a fantastic character and I particularly enjoyed his part in the story immensely. Multi layered and with excellent characters - Chung-Cha was dangerously cold blooded but truly inspirational and for me was the central character to the whole book. This story really is a must read, it was so easy to follow unlike so many political thrillers and from start to finish it read like a blockbuster movie. The ending was just FANTASTIC!! Emotional, tense, exciting and compelling, I literally couldn't put it down until it was completely finished and even then I continued to give it thought. I highly recommend this series but if you can't read them all, do read this one - if you enjoy fast paced, action filled thrillers then you will not be disappointed and I've already have "The Guilty" (the fourth one) on order to enjoy reading very soon! Ok, this one is weird. What I really like about the series is the personality building of the MCs. What I strongly dislike is the fact that most of the plotlines are between the POTUS and some villainous person (of either Muslim or Slavic ethnicity). And the actions is basically either POTUS ordering unsanctioned killing of the said villain or the reverse is underway. It makes me think 'euphemistic much'? It makes me wonder, what the hell, is there some shortage in original thriller story ideas? Ok, this one is weird. What I strongly dislike is the fact that most of the plotlines are between the POTUS and some villainous person (of either Muslim or Slavic ethnicity). And the actions is basically either POTUS ordering unsanctioned killing of the said villain or the reverse is underway. It makes me think 'euphemistic much'? It makes me wonder, what the hell, is there some shortage in original thriller story ideas? I think I'll stick with this series for a bit more but of it goes on and on and on rehashing the same idea, I can't vouch for my crankiness. “Of course. It’s sort of like the Defense Against the Dark Arts teachers. Bad things happen to them.” (c) Exactly what I thought. The two previous Robie and Reel novels were a step above much of what Baldacci had done in the past, but this one took a step back. My thought is that Baldacci put too much into the book, one separate crisis after another; fighting their superiors, fighting the North Koreans, fighting neo Nazis, back to fighting the North Koreans, and on top of all of that spending a lot of time inside the workings of North Korea. While all of it was interesting it was just too much for one book. We learned so m The two previous Robie and Reel novels were a step above much of what Baldacci had done in the past, but this one took a step back. My thought is that Baldacci put too much into the book, one separate crisis after another; fighting their superiors, fighting the North Koreans, fighting neo Nazis, back to fighting the North Koreans, and on top of all of that spending a lot of time inside the workings of North Korea. While all of it was interesting it was just too much for one book. We learned so much about Reel's history and delved into the mind and making of a super assassin that coupled with all of the other information; well it was information overload. Throwing in the apology to Reel (read the book to find out what I'm referring to) added a touch of the unbelievable. I hope that Baldacci brings these too back up to where the first two books were. I was on the edge of my seat the entire read! So many things went down here. Tucker gunning for Reel and Robie. 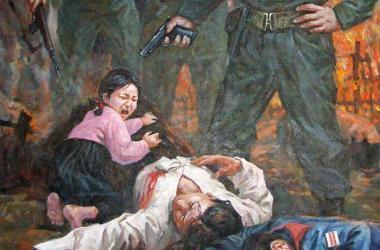 North Korea and their HORRIBLE prison camps! Jessica's despicable father pulling her into the past. Julie very much a part of one of the conflicts! Gotta say, if the situation in North Korea resembles real life in any way, my heart goes out to those people! Wow! I totally recommend the audio book! Ron McLarty and Orlagh Cassidy were perfection! Will Robie & Jessica Reel, master assassins, are back …..on a super secret mission together! 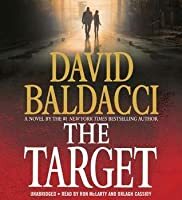 The Target, the 3rd book in David Baldacci’s Will Robie Series begins with Will Robie, back in Washington DC and receiving a medal for his successful mission in Syria. Will and Jessica have been given a new and very secret mission but before they receiving the details of it, both are sent to The Burner Box, a CIA training facility in North Carolina to be tested if they are capable of carrying it out. B Will Robie & Jessica Reel, master assassins, are back …..on a super secret mission together! Will and Jessica have been given a new and very secret mission but before they receiving the details of it, both are sent to The Burner Box, a CIA training facility in North Carolina to be tested if they are capable of carrying it out. But they believe that there’s something more sinister about the reason given by the present director of the CIA, Evan Tucker for disobeying orders and the killing of two high CIA officials. This is world where nothing is what it seems to be. ” Surviving the grueling experience, Will and Jessica are sent to France – their secret assignment? Kill the North Korean leader, General Pak. Things go horribly wrong with the general committing suicide. In retaliation, the North Korean government sends one of their top agents, Chung-Cha to assassinate the US president and his family. and how it made her become one of the most cold-blooded and lethal assassin, even more dangerous than Will and Jessica. The story is told through multiple POVs which allows the readers to see into each character’s minds that gives us more information about each one’s thoughts and feelings. The author has created two characters, Will and Jessica, that you cannot help but like and admire, even knowing that these are two of the most dangerous and lethal killers. There’s something deep inside them that makes you feel that there is goodness in them. Something that humanizes them. We also see that humanity in Chung-Cha at the end…. (view spoiler)[Chung-Cha had adopted a young girl, Min, who she had rescued from the very camp she had spent all those painful years in. She takes Min with her on her mission and wanting to save her life, turned on her own allies, which resulted in her being killed. Will and Jessica then take Min to live with Julie and her guardian. (hide spoiler)]This was such a sad part in the story……makes you want to believe that there’s some good inside each one of us. At times, the plot seemed so far-fetched and in some weird way it’s still kind of believable. Gripping tension, action-packed with twists and turns that popped up at the most unexpectedly times. Yet another established writer fails. This is puerile rubbish, cliche riddled, clumsy, amateurish. If it was the first effort of a self published teen it still wouldn't be excusable or acceptable. The characters are unbelievable, the dialogue and responses ludicrous, the stuff of comics, not mature writers. The writer has his protagonists doing things not realistically possible in the first few pages. Disarming and pulling down the pants of experienced street thugs before any of them can react o Yet another established writer fails. This is puerile rubbish, cliche riddled, clumsy, amateurish. If it was the first effort of a self published teen it still wouldn't be excusable or acceptable. The characters are unbelievable, the dialogue and responses ludicrous, the stuff of comics, not mature writers. The writer has his protagonists doing things not realistically possible in the first few pages. Disarming and pulling down the pants of experienced street thugs before any of them can react or respond? A President who can be manipulated by simple psychology? There is light rain falling on the river's edge, but the river is "storm tossed"? This "novel" is not only drivel, it is drivel that has managed to reach publication without input from a competent editor. That is surprising. Perhaps in the age of eBooks and self publishing some writers feel that they can do it all. It was great getting a more in-depth read on Jessica’s past but now I’m ready to hear more on Will’s past. I enjoyed the plot and subplot of the book. The way the end turned out with the North Koreans was actually a bit surprising and I thoroughly enjoyed how the book ended with Min. I look forward to reading more on what happens next with these characters’ lives. The president’s daughter was actually amusing in her flirty behavior. My quick and simple overall: another good installment into the It was great getting a more in-depth read on Jessica’s past but now I’m ready to hear more on Will’s past. I enjoyed the plot and subplot of the book. The way the end turned out with the North Koreans was actually a bit surprising and I thoroughly enjoyed how the book ended with Min. I look forward to reading more on what happens next with these characters’ lives. The president’s daughter was actually amusing in her flirty behavior. Okay, book 3 of the so called Will Robie books ( I say so called because Jessica Reel is becoming pretty much a co-protagonist). The way this one plays out it's set up as a series of "adventures". This can get a little disjointed as we follow different characters and different situations but in the end Mr. Baldacci ties it all together well. I've been following this series from it's beginning and I like it. While i can't say that I like everything Mr. Baldacci has written I do like many of his bo Okay, book 3 of the so called Will Robie books ( I say so called because Jessica Reel is becoming pretty much a co-protagonist). The way this one plays out it's set up as a series of "adventures". This can get a little disjointed as we follow different characters and different situations but in the end Mr. Baldacci ties it all together well. I've been following this series from it's beginning and I like it. While i can't say that I like everything Mr. Baldacci has written I do like many of his books. While I can't agree with everything he says...I will agree that he's an excellent writer. So I can recommend this one and while it may not exactly be as tight as the first two about Robie it is a good addition tying up some loose ends, explaining some background we haven't seen beofore and being a very satisfying read. I am a big David Baldacci fan and enjoy most of his work. When I first started reading this story I thought it was going to be one of the exceptions but I am glad I stayed with it. The ending was worth it. There are several story lines in this book and at times it was hard to follow along and connect the dots. Jessica Reel is on the out with some in the CIA because of things she did in The Hit. Will Robie, to a lesser extent, is in the same boat. Guilt by association. No less than the Director of the Central Intelligence Agency (DCI) appears to have them in his crosshairs. The President of the United has agreed on a top secret plan to remove a global leader from power. He agreed to the plan based on the advise he received from his DCI. The DCI has the perfect team for this mission. Robie and Reel. But first they must prove their worthiness and loyalty. They are to be sent to the Burner Box, a CIA training facility. In an Alabama prison a convicted murderer dying of cancer hatches a plan to be reunited with his long lost daughter. This desire does not appear to be due to any desire to make amends. And it seems he is working with others outside of the prison. Who is his daughter? Why is he trying to get her to visit him in prison? And what does this have to do with the story? In North Korea a survivor of a prison camp, Chung-Cha, is now a trained assassin for the Supreme Leader Kim Jong-un. She is sent to deal with corruption and anyone who is suspected of being disloyal. Today she has an apartment, a car, a rice cooker and other material possessions but the prison where she spent her formative years and the price she paid to get out of the prison camp are always present. As I start to write this I haven't put a rating above yet. I'm a little conflicted about this one. There is no question that I like the characters in this book, but this time around I think David had them doing too much in way to short of a time span. Even Superman and Superwoman would have trouble keeping up with Will and Jessica. The action really never stops and that is not always a good thing. I think that applies in this case. David had a really good idea when he put Will Robie and Oliver As I start to write this I haven't put a rating above yet. I'm a little conflicted about this one. There is no question that I like the characters in this book, but this time around I think David had them doing too much in way to short of a time span. Even Superman and Superwoman would have trouble keeping up with Will and Jessica. The action really never stops and that is not always a good thing. I think that applies in this case. I will have the book review done in one to two weeks. Why I even rated this three stars is perplexing -- perhaps because Baldacci's writing is tight and consistent, and he is generally a superb writer. But this story is a mess, with 1 core plot that is remodeled every few chapters. Plus there is a sub-plot with Jessica's father, her past and her consideration of the future. There is also a sub-theme relating to mothers and their children. Baldacci smashed far too many plots into one story. This is not a Mission Impossible movie -- it's a book. By the end of this book, I needed a vacation just to recover from all the noise, the action & jet-lag, and felt like I just fought a pack of rabid Ninjas. In another Will Robie and Jessica Reel saga, the duo is pressed into action by the President for a top double-secret mission. But a nemesis in the government is gunning for them. As they head to the 'Burner Box,' the CIA's version of an Abu Ghraib training camp, they're convinced they'll never make it to the mission. However, by a quirk of circumstance, the mission evaporates and morphs into an assassination instead. Complications ensue from the hit on a former CIA asset from North Korean. Robie and Reel must then penetrate a North Korean work camp to rescue the asset's family. After contrived battle scenes, Reel and Robie are rescued and return to the US. At which time they are asked by the First Lady to accompany her and her children to Nantucket for a family vacation. The hits just keep on coming, and the teary-eyed ending finally arrives. Running in parallel for the first half of the book is a sub-plot of Jessica's criminal father, who raises his ugly neo-nazi head for the first time in 20 years to create a near-death disaster for Jessica. The Target is the best Will Robie book yet. The pacing is excellent - for the first time in this series, I did not put down the book even once. The characters are strong and we get to see new ones which are nuanced. The plot is also something quite different. Gotta say 'The Target' had its good moments but it certainly also had its share of bad moments. This is the third novel following special agent Will Robie and his partner CIA operative Jessica Reed. There are lots of good moments and good story plot developments. We see both Will and Jessica go through an enduring CIA re-training camp in the beginning of the book. Lots of ugly torture scenes here...yikes. No spoilers, but eventually the story introduces radical extremists in North Korea plotting Gotta say 'The Target' had its good moments but it certainly also had its share of bad moments. This is the third novel following special agent Will Robie and his partner CIA operative Jessica Reed. There are lots of good moments and good story plot developments. We see both Will and Jessica go through an enduring CIA re-training camp in the beginning of the book. Lots of ugly torture scenes here...yikes. No spoilers, but eventually the story introduces radical extremists in North Korea plotting against USA. Of course many funny moments involving the North Koreans and specially describing the absurd extremism of their crazy dictator Kin Jong-un. Perhaps the most interesting character in the book is the Assassin Chow-Chow, and Baldacci does a really great job in setting up her life story, how she grew up in the slave camps and progressed into a deadly assassin fighting for North Korea. Great points: Baldacci writes action scenes like nobody else! You can really see yourself in the middle of the covert missions or the fight scenes, melee and the explosions. Bad points: a lot of the dialogue between the characters are cheesy and predictable. Some are quite absurd it makes you wonder is this the same author writing this book? After my last book, and not being able to finish The Stuart MacBride book. Great to get back to a author that I know I am going to be happy with and I was. Knowing that I enjoy this type of book, with assassins, international travelling and plots and of course the great characters Will Robie and Jessica Reel. This book has you hooked from the beginning with the return of Will Robie and Jessica Reel but now with the added bonus of a North Korean assassin, and a good one. David Baldacci seems to know After my last book, and not being able to finish The Stuart MacBride book. David Baldacci seems to know his knowledge on North Korea, and a great plot build up with exciting tension, excitement, suspense and lots of fast paced action from across the world. Reading an author I enjoy so much, makes me appreciate them as to write a "good book" is not quite so easy as you think as there are many weak books out there as well. I just could not put this book down and had to get to the end and the conclusion, and lots of twists and turns. 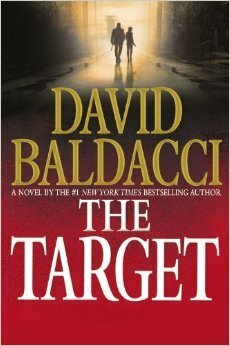 David Baldacci wrote a very compelling book in (The Target) whereby he follows the careers of two intelligence agents. They have many hair raising experiences in many foreign lands as well as here at home protecting the first family. Baldacci returns with a high-thrills adventure, featuring both Will Robie and Jessica Reel. After the CIA tries to deal with the fallout of Robie's last mission, they struggle with a plot that could leave the President of the United States in international hot water. Putting Robie and Reel through their paces, the Agency sends them off to handle a mission with complete deniability and dire consequences. When the mission takes a turn, Robie and Reel find themselves free to handle some personal bu Baldacci returns with a high-thrills adventure, featuring both Will Robie and Jessica Reel. After the CIA tries to deal with the fallout of Robie's last mission, they struggle with a plot that could leave the President of the United States in international hot water. Putting Robie and Reel through their paces, the Agency sends them off to handle a mission with complete deniability and dire consequences. When the mission takes a turn, Robie and Reel find themselves free to handle some personal business, stateside. This business leaves Reel to face some of her deepest and darkest secrets, while Robie is forced into action to save both Reel and his teenaged friend, Julie. All this as the stakes on the international scene rise significantly, leaving the First Family in the crosshairs. Meanwhile, in the depths of a prison camp in North Korea, a prisoner seeks to rise above the beatings and make a name for herself, no matter the risk. Could this gaunt woman mean the end of Robie, Reel, and a slew of others? Baldacci's outdone himself with this thriller, sure to keep the reader up late into the night with excitement. Perhaps one of Baldacci's best novels in a long while, The Target explores territory never before addressed. Baldacci uses extensive research and possibly some literary freedoms to paint a grey and dour image of North Korea and its inhabitants. Countering that with the high-impact of the Robie/Reel connection and the reader is sure to enjoy the fights, the bullets, and even the break-night battles. Letting up only with the closing sentence, Baldacci opens his characters up to extensive exploration and thorough back story creation, sure to be useful in novels to come. At times, the reader may feel three novellas have been combined to create this larger work, all in the name of keeping Robie and Reel on their toes. Kudos, Mr. Baldacci for putting forth such an exciting story that will keep readers on the edge of their seats until the next series instalment. A plot trick often used in the thriller writing game is to string three or four separate threads together with only the most tenuous connect. It delivers that roller coaster ride that makes thrillers thrill. In The Target featuring Will Robie and Jessica Reel, CIA fixers which is to say at times they kill for America. The Target opens on Alabama's death row and hurls us to Paris, Pyongyang, rural Alabama, New York City and Nantucket. Robie and Reel prove almost invincible, which is to say they ne A plot trick often used in the thriller writing game is to string three or four separate threads together with only the most tenuous connect. It delivers that roller coaster ride that makes thrillers thrill. In The Target featuring Will Robie and Jessica Reel, CIA fixers which is to say at times they kill for America. The Target opens on Alabama's death row and hurls us to Paris, Pyongyang, rural Alabama, New York City and Nantucket. Robie and Reel prove almost invincible, which is to say they need help at times. We meet their counterpart, a young North Korean assassin, a Tinman-like operative only too well aware she no longer has a heart. Jessica's own awful past is revealed in pages you cannot put down. Weak and delusional leaders in the United States and North Korea make tragic blunders which create a context for all that follows. They're baaaaack - the government-sanctioned assassination team of Will Robie and Jessica Reel. And I couldn't be happier. Well, maybe a little happier; this latest installment didn't impress me quite as much as its predecessor, The Hit. But the difference wasn't enough to knock my rating down a whole star, so 5 it is. This one puts the dynamic duo in the crosshairs of a high-ranking U.S. official who's convinced they should be thrown in jail for straying from the script on a previous mission (fac They're baaaaack - the government-sanctioned assassination team of Will Robie and Jessica Reel. And I couldn't be happier. This one puts the dynamic duo in the crosshairs of a high-ranking U.S. official who's convinced they should be thrown in jail for straying from the script on a previous mission (fact is, they didn't follow orders; and even though in the end their actions saved the day, not following the letter of the law is an irritant in some circles). But the trump card remains in their pocket - approval by none other than the President of the United States. As the book begins, the pair are put through rigorous training in preparation for a new mission to eliminate a world leader who's hiding out in France. It's clear from the start, however, that what doesn't make you stronger may well kill you - and the two begin to suspect that the latter may well be the real intent of the training. Meantime, Jessica is forced to deal with ghosts from her past that end up threatening them both. Then, they're given another search-and-seizure mission that not a single person believes they can pull off; even Jessica and Will have their doubts. In retrospect, some of the situations are a bit hard to believe, I admit, but honestly, the action never slowed down enough for me to notice while I was reading; all I could think about was getting closer to the end. Another winner for sure! Will Robie returns in the 3rd installment of the series, along with Jessica Reel, for another awesome thriller! We are introduced to a deadly Korean Assassin who is ordered by North Korea to carry out a mission that will send a violent message to the US. We find out more about Jessica Reel's past and what made her become known for what she does. The book was a little slow and hard to follow to start out with because they kept jumping back and fourth between Robie and the North Koreans, and I did Will Robie returns in the 3rd installment of the series, along with Jessica Reel, for another awesome thriller! We are introduced to a deadly Korean Assassin who is ordered by North Korea to carry out a mission that will send a violent message to the US. We find out more about Jessica Reel's past and what made her become known for what she does. The book was a little slow and hard to follow to start out with because they kept jumping back and fourth between Robie and the North Koreans, and I didn't know where this was going but then it all started to come together. The Target was right up there with the previous installments and it could probably be read as a stand-alone by some people. I was up past my bedtime reading, finding out what would happen next! The ending really surprised me and in a way it was kind of sad and shocking at the same time. Highly recommended to Baldacci fans! Robie, Jessica, Julie are all here and just as good as ever. The plot did not agree, too scatterbrained and erratic. I thought Yie Chung Cha could have been a great new character for the future but that doesn't look likely. 3Stars. Baldacci brings the Robie/Reel team back in response to international terror threat. He combines the the tried and true Robie/Reel assault team with a startling personal story. I loved the final scenes and appreciated the additional dimensions of the duo.